Should you host with tsoHost? Plus, save 10%! tsoHost have earned a reputation of being one of the leading web host providers in the UK, but are they the right choice for you. In our tsoHost review, we will look at some of the pros, cons and costs of hosting, as well as a few tips to help you save more when signing up. When it comes to incredible customer service, it is hard to overlook tsoHost. The customer service team are not only readily available and more than happy to help, but they are also knowledgeable. They offer fast hosting speeds, plenty of inclusions and great customer service all for a very reasonable price. With plans for single blogs right through to large commercial web services, there is something for all budgets. UK registered charities can take advantage of free cloud web hosting available with tsoHost. If you are a registered charity in the UK, you can find out more about the free web hosting offer on the tsoHosting website. If you are happy enough with ‘live chat’ or email-style ‘support tickets’ this may not be a concern, but some customers have raised concerns about the quality and depth of phone support. It is important to be mindful of the restrictions on certain aspects of each plan, such as page views, storage and email mailbox sizes. Whilst these won’t be a concern for most consumers, it is important to consider before signing up. If you are looking for reliable UK hosting with exceptional customer service, Tsohost may be the perfect choice for you. Save more off your new hosting plan with our Tsohost promo codes and offers. You also help charities when you choose our voucher codes! "Professional, fast and affordable web hosting based in the UK"
"tsoHost have proven to be extremely helfpul for my new site." For fast web hosting that can be scaled and customised based around your budget and requirements, it is hard to overlook tsoHost. They have an extremely knowledgeable customer service team who can assist with a wide array of issues, from hosting to websites. Our team of money saving experts are here to save you more! Whether you are looking to for a small WordPress hosting plan for your personal blog or large cloud servers to handle your growing online business, we can help find the best deals for you. One of the easiest ways to save money on your Tso Host purchase is with a voucher code. From time to time we have codes that can save you anywhere from 10% to more than 20% with Tsohost hosting and services. Be sure to check our our promotional codes. It is important to choose the right web hosting plan for your needs. If you choose a plan that has features you are unlikely to need or use, you will most likely be overpaying. However, if you choose a plan that doesn’t meet your requirements, your website may crash, and you could lose sales and exposure. The friendly staff at Tsohost will be more than happy to provide helpful advice – you can find out how to contact them below. As well as regular promo codes, Tsohost also have regular discounts and sales. Sales can start at any time, so be vigilant, and be sure to look out for deals during popular sale times, such as Black Friday and especially Cyber Monday. We hope this list of money saving tips is useful, and remember to check out the Tsohost discount code deals and offers at the top of the page. How to use Tsohost Voucher Codes? We help you find the best promo codes for Tsohost, so all you need to do is insert them when making a purchase. It is quick and easy to use a Tsohost voucher code, and you will be informed straight away once the deal has been accepted. Find the right promo code (from the list above) for your purchase. Remember some Tsohost promo codes may have qualifying criteria. Navigate to Tsohost.com and insert the coupon on the check out page under the title of “Promotional Codes”. Click “>” and the your basket will be updated with your promotional offer, such as 20% off web hosting. You’re done! It is that simple. Enjoy your savings, and thanks for helping us raise money for an amazing charity! At the moment, tsoHost does not currently offer any student discounts or promotions. If they do, we will be sure to upadte this page, so stay tuned. If you are looking for web hosts that do offer student discounts, be sure to check out our student discounts page. 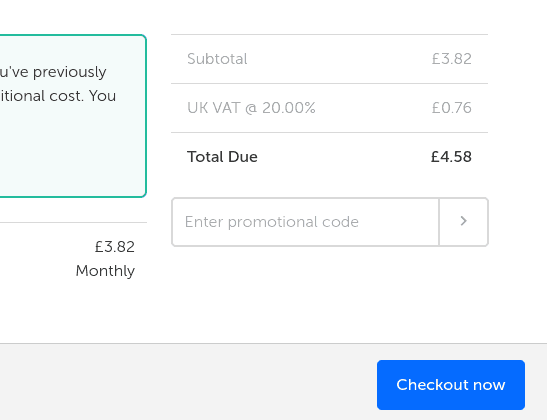 Save with Tsohost, Plus Help UK Charities! At Assistall, we like to do things a little differently. Not only do we have some of the best deals and discounts currently available for tsoHost website hosting, but we are also able to help amazing charities and good causes. We have a philosophy of helping everyone, so not only will we try to help you save on your tsoHosting, but when you use one of our promo codes or deals you will help us raise much needed funds for amazing causes (and it won’t cost you a penny!). Assistall is affiliated with a number of retailers and businesses throughout the UK. When you click through to another website from ours, we will often receive a small referral commission if you complete a purchase. We are then able to donate funds from the profits to amazing causes and charities, who work tirelessly to make our society a better place. Everyone wins! Absolutely not! There is no cost to consumers, only savings! We receive a small referral fee from the retailer when you use one of our promo codes on Tsohost.com. With Assistall, consumers save and we donate profits to amazing charities and good causes. You can find out more about our how we raise money for charity, or help us raise money for charity (at no cost to you) using the Tsohost shop button below. tsoHost have made a name for themselves as some of the leading web hosting providers in the UK. The high level of customer support and technical ‘know how’ combined with their state of the art architecture at an affordable price have made them one of the best web hosts in the UK. Based in Berkshire, this web host boasts over 250,000+ customers, and delivers a wide selection of web services, from domain name registration right through to WordPress hosting and custom solutions. No matter how big or how small your website or blog, tsoHost has the ideal plan for everyone. They have also incorporated a number of other trusted and reliable UK hosting providers, including Vidahost. For exceptional web hosting from the people that know hosting back to front, be sure to check out Tsohost.com. You may have noticed the unusual name of this hosting provider. The name is spelt the same way backwards as it is forwards, which highlights that tsoHost know web hosting back to front. 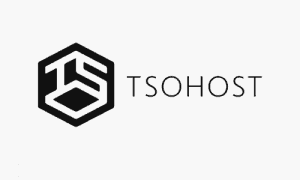 If you are wondering how to pronounce tsoHost, you may be interested to know it is pronounced T S O Host. If you have used one of our promo codes for your Tsohosting and encountered a problem or simply have a question, there are a few ways to get in touch. Live chat is a great way to quickly have your questions answers. Tsohost offers a reliable live chat service, which has operators available between 7am to midnight. Tsohost have a useful ‘support ticket’ option, which allows you to enter as much information as you like. You can easily choose the hosting plan or product which you are having trouble with, ensuring that an accurate and useful solution is provided. If you prefer to call Tsohost, their number is 0207 855 2055. Tsohost customer service can be contacted via phone between 7am to midnight. They can help with a wide range of questions, from technical questions to using our Tsohost promo code above. If the above contact methods aren’t ideal, why not check out Tsohost’s socials – Twitter & Facebook.